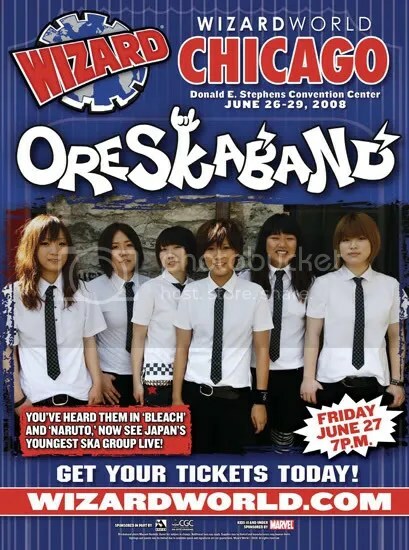 In case you missed the memo, ORESKABAND has been confirmed as the musical guests of honor at Wizard World Chicago 2008. The girls will hit the stage Friday night, June 27th at 7pm. Now I’ve been going to Wizard World Chicago for the past three years and I know for a fact that we’ve never had any Japanese musical guests! Of course they perform on Friday, when I can’t go. Oh well you can still catch them on the Van’s Warped Tour this summer. Tour dates on their myspace.